The Fall Creek Inn & Suites in Branson, MO is the perfect hotel to call your home away from home on your next vacation; the hotel is full of great amenities, a friendly staff, and many features to ensure that you are comfortable during your stay. 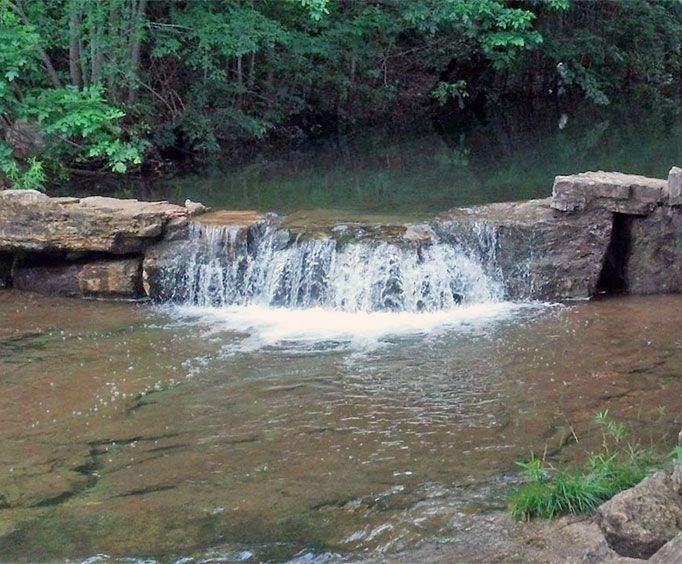 A trip to Branson, MO is perfect regardless of the time of year, and a stay at the Fall Creek Inn & Suites is sure to help you relax and unwind during your vacation. These amenities include on-site restaurants, free high-speed internet access, free continental breakfast, and more. The hotel also features an outdoor pool which is perfect for relaxing and unwinding or getting in your morning exercise. The pool also features a gorgeous sundeck so you can work on your tan and enjoy the sun. Also, the hotel is convenient and features flat level parking and handicap rooms as well as both smoking and non-smoking room options, making it easy for anyone to enjoy the comforts. The amenities truly make your stay at the Fall Creek Inn & Suites memorable. 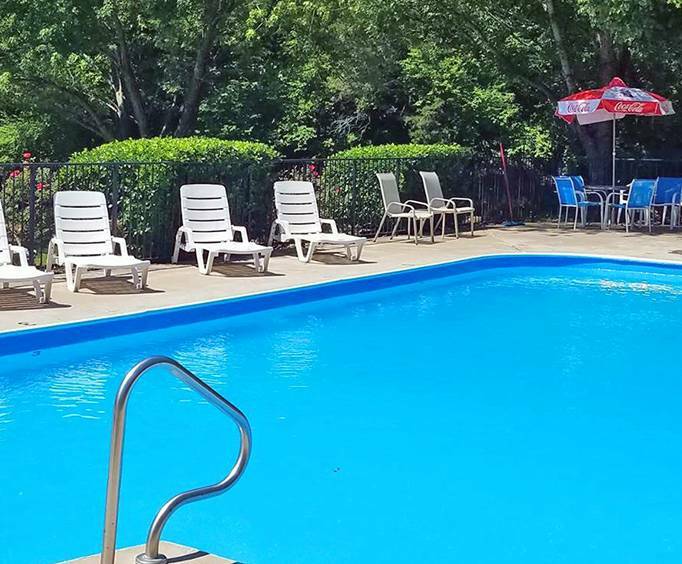 Take a dip in the pool or head to one of the two onsite restaurants: Danna's BBQ and the Fall Creek Steak and Catfish House. Guests can also take advantage of free wireless high speed internet and free local calls to help keep them connected to their loved ones while they are on the go. Of course, the Fall Creek Inn & Suites also has an amazing location to make your stay convenient. 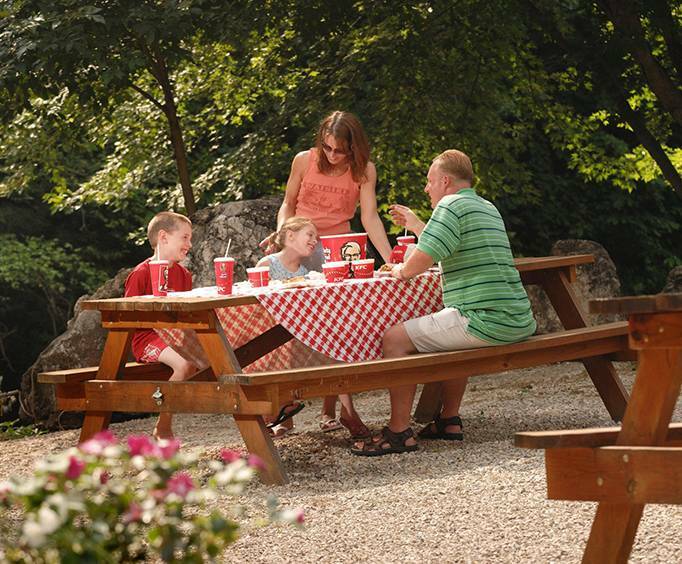 You will be able to find the famous 76 Strip, Table Rock Lake, and Silver Dollar City all within ten miles of the hotel. After a day of exploring everything awesome about Branson, MO, return to your room where you will be able to relax and unwind. Surf the internet with the free WiFi or watch tv. Each room comes equipped with the necessities to create a convenient stay, including irons and ironing boards, coffee makers, fridges (in select rooms upon availability), and toiletries. With plenty of room options, you can also ensure that your stay is catered to what you need. Make sure that your stay in Branson is a good one by staying at the Fall Creek Inn & Suites in Branson. "Our room faced the creek. The inn was full, but it was very quiet." The staff went out of their way to get me a bottom floor room. I could not climb stairs. Our room faced the creek. The inn was full, but it was very quiet. "our room met our expectations and was very well kept." Staff was extremely friendly and eager to help when we needed it. Also, our room met our expectations and was very well kept. "What more could you want??" Room was clean, staff was friendly & the price was reasonable. What more could you want?? "Nice quiet, off the beaten path hotel!!!" Nice quiet, off the beaten path hotel!!! Clean rooms, nice mattress, good ac & great water pressure.